Shantaa is a quiet resort located on the island of Koh Kood, on the west coast and on the north of the white sandy beach of Ao Tapao. This is a romantic and quiet area which is perfect to relax. If you are coming from Koh Chang, the speedboat will "drop" you directly at the resort's pier where the staff will wait for you. If you come from Laem Sok, on the mainland near Trat, with one of the fast ferries, you will arrive at the north of the island. Don't worry, with Ko Kut Express, for example, the price of the ticket also includes a transfer from or to your resort. But the best way is to contact the resort and inform them about your arrival, they will make sure your transfer goes well. At 200 meters from the resort, you will find a small supermarket which is not only selling food and drinks but also beauty products, sun lotions, washing powders, small souvenirs, some cheap jewelleries, t-shirts, caps, cigarettes and even phone accessories. 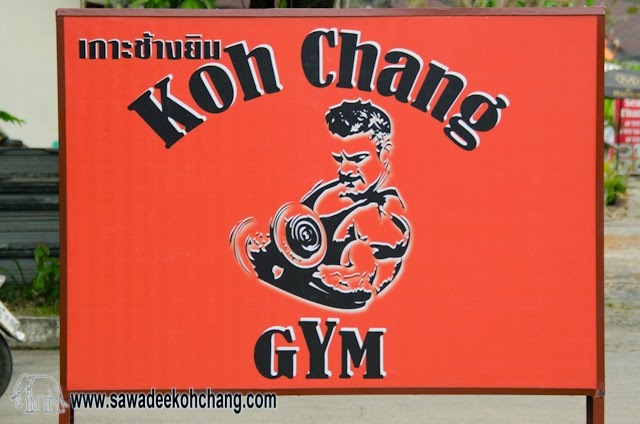 The prices are slightly higher than in Koh Chang but hopefully, you will find what you need. And at about 2-3 km from the resort, there is a small village with a hospital, the only ATM of the island (when it's working), a gas station, a bigger grocery shop and few bars and restaurants. If you decide to walk there it will take about 20-30 minutes. By scooter, only 2 minutes and you can rent it from the reception of the resort. When you will go to the village you will pass a temple which has a free access and entrance. Shantaa which means tranquillity in Hindi is one of my favourites resorts on Koh Kood if I just want to be in peace and enjoy doing nothing. The resort's bungalows are called "Sweets" or "Villas". They are spread in their beautiful and spacious flower garden, all facing the ocean. Space and silence are what you will notice when you will arrive. It's not a mass tourism place, they could have built 10 times more bungalows but they preferred to keep free space and then get more tranquillity for their guests. The staff is very friendly but also very discrete, they don't come to bother you, but if you need them, they are here for you. They have 22 bungalows of different categories and sizes spread all over the property. There is no TV inside the bungalows but who cares, you really don't need it and you will appreciate to not have it. Remember, it's "Tranquillity"! Inside the bungalows, there are a king size bed, free non-alcoholic beverages, a fridge, a safety box, air conditioning, a ceiling fan, a hair dryer, a music player and a free Wi-Fi connection. On top of that, you can have 24 hours coffee and tea at the lobby. The bathrooms have something unique, they are opened-garden bathrooms, wide, without ceiling and decorated with plants. You will have the feeling to take a shower or a bath inside the garden. Each bungalow has its own private terrace with comfortable furniture. I could stay there all day long until the sunset, it's very relaxing. They don't have a swimming pool but instead, there are 2 small beautiful beaches which are extremely quiet. At the south beach, there are free loungers and a small beach bar called Shantaa Bar Ba-Ra. You can have free clean beach towels, free bottles of water, use their snorkelling equipment for free and order hot or cold beverages and snacks. This small beach is very nice to snorkel, there is a small reef with lots of fish. The north beach is not the best for swimming but it's perfect for quiet sunbathing. There is also a café called Shantaa Gati Café from where you can also get free and clean beach towels, beverages and snacks. There are also free loungers. In the garden, there is a sunset deck with loungers and a massage area. They can propose you different types of massage that you need to book at the reception. There is a reading room nearby the reception with books previous guests have left and that you can borrow for free. They also have a restaurant in the middle of the garden where the breakfast, lunch, dinner and snacks are served. From the terrace, you have a very nice view of Ao Tapao beach. Food is very good and prices are reasonable with a good choice of Thai and Western dishes. The breakfast is à la carte, no buffet but you can order as much as you want and it's also excellent. Shantaa is a place I really recommend if you want to "disconnect" from the the streesful and busy life and just want to spend relaxing holidays in a beautiful exotic environment. If you are travelling with young kids, they may feel bored and I would choose instead a place with a swimming pool. Availability and Prices at Shantaa!